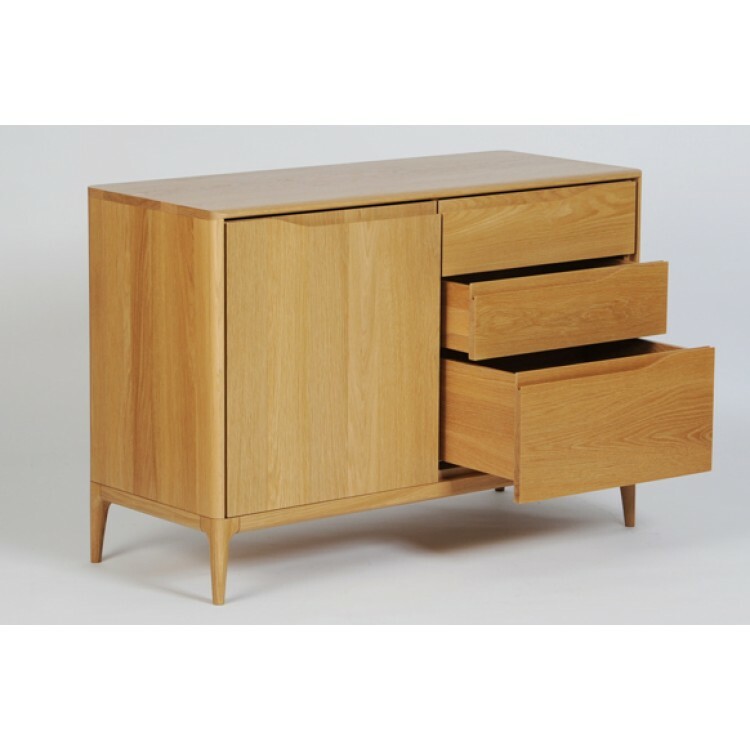 Ercol 2646 Romana Small Sideboard. 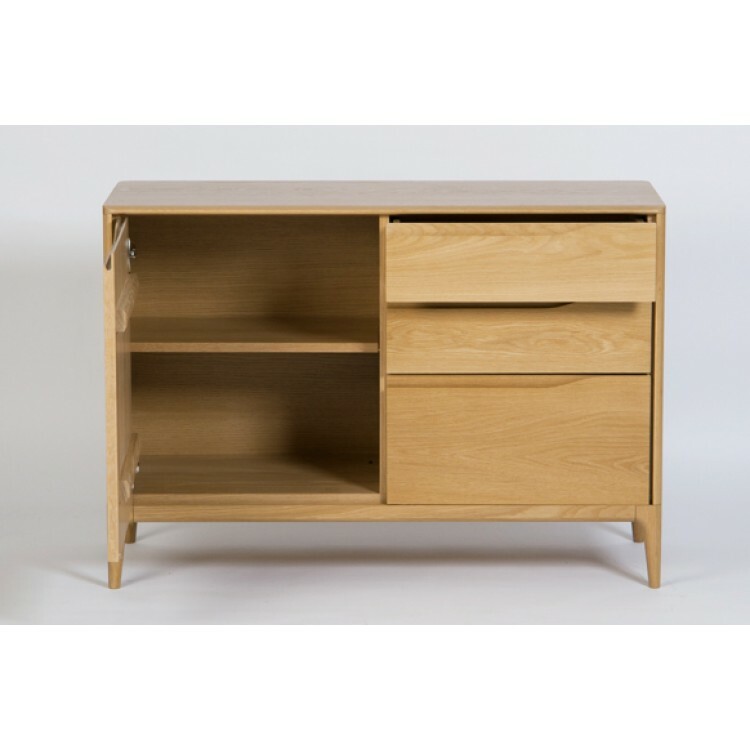 This sideboard has a large storage cupboard on the left hand side, and then storage drawers on the right hand side. 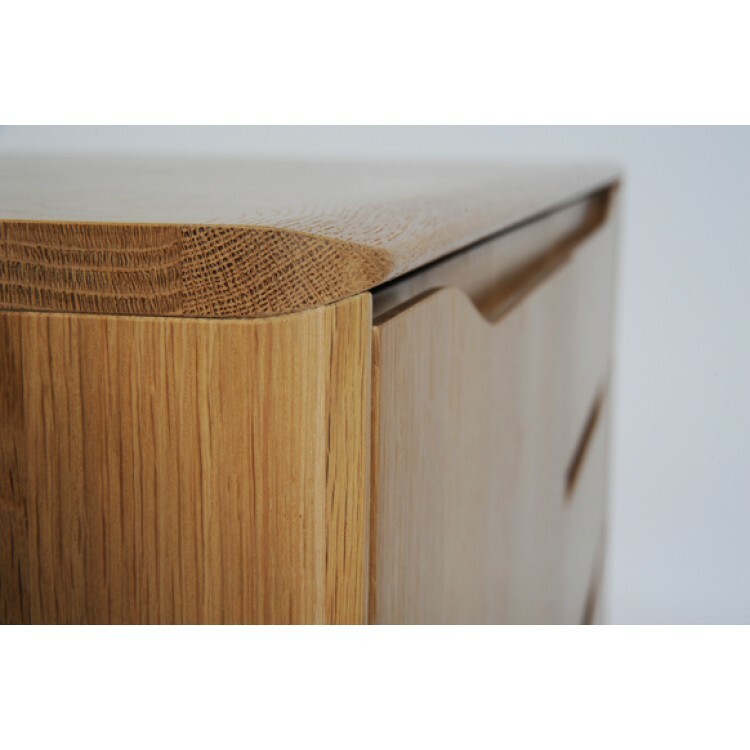 The drawers have cut out sections at the top to form a handle to open and close them with, and this design is carried from the top of the door across to the top drawer of the sideboard. 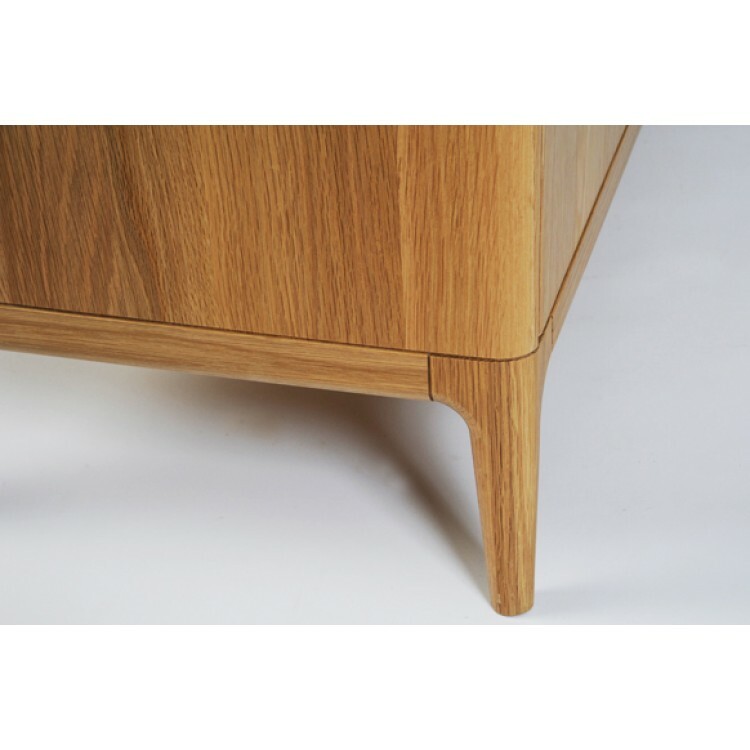 A rounded edge on the sideboard top that matches the rest of the Ercol Romana collection. 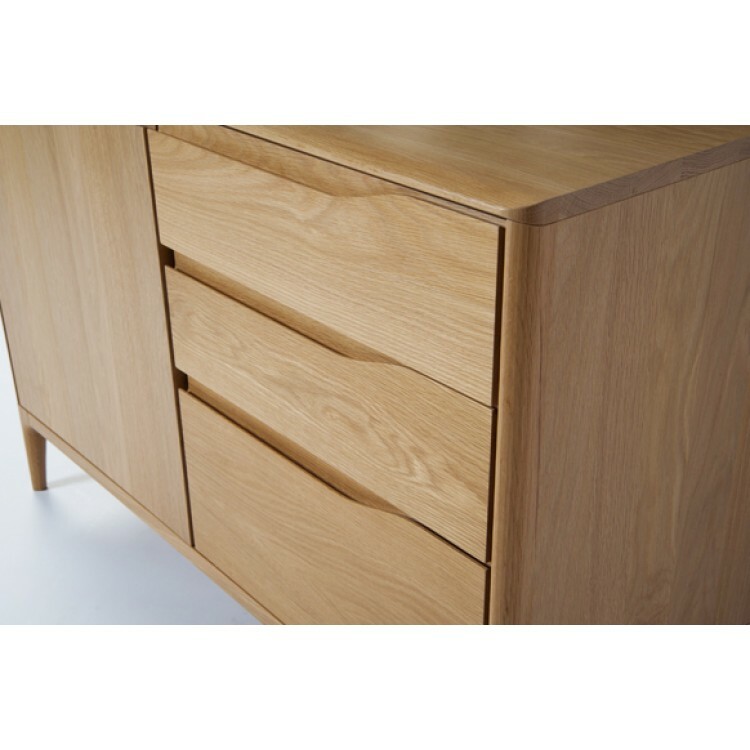 Soft close drawers, and adjustable shelf inside the cupboard.